On October 2, Tatarstan Prime Minister Aleksey Pesoshin, Danish Ambassador to Russia Carsten Søndergaard, Senior Vice President of ROCKWOOL International Thomas Keller, Director General of ROCKWOOL Russia Marina Potoker and other officials took part in the opening of a new line for the production of substrates from Grodan mineral wool. The plant was built by the Danish Rockwool Company, which manufactures thermal insulation and is an active resident of the Alabuga Special Economic Zone. More than 500 million roubles were invested in the project. The launch of this enterprise will make it possible solve import substitution tasks, because until this moment these substrates were supplied from Holland. This is the fourth Grodan plant worldwide and the first one in Russia. Speaking at the solemn event, Pesoshin noted that Tatarstan is one of the leading industrial centres of Russia. “Choosing Tatarstan to launch a new plant means that the republic has a great potential in further increasing the production of industrial products,” he said. 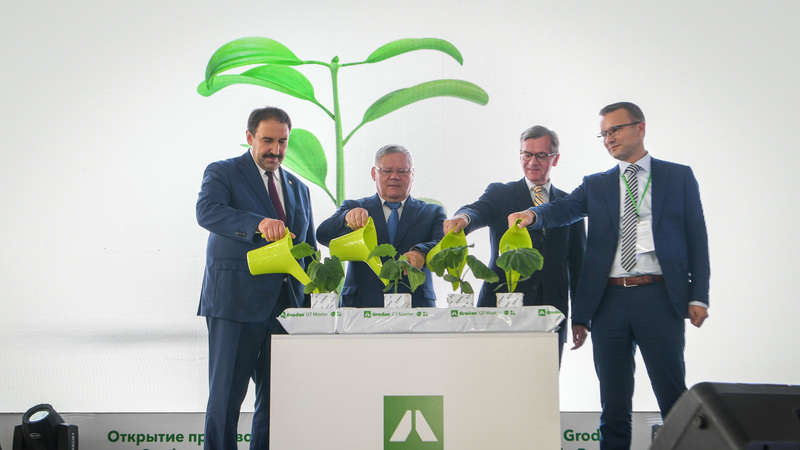 Tatarstan wished senior managers of the company success in achieving the goals set and expressed confidence that the Grodan substrates will be in demand in the market. Grodan products improve the efficiency of modern greenhouses, making it possible to use less water, fertilizer and space. Thus, water consumption in the cultivation of tomatoes is reduced up to 15 times.